Free Baby Milestone Stickers - C.R.A.F.T. Note: This post brought to you by Avery. UPDATE: Mila is already 2 years old, but just for fun here is a look at how I documented her first year with monthly baby pictures. These sweet little babies get big way too fast. Our Mila girl is already 3 months old! The one thing I have learned from having 2 babies is that each baby is so different. Max did not sleep through the night until he was 10 months old (ahh!). Mila has been sleeping 8 hours a night since she was 2 months old. (Thank you, sweet girl, thank you!) Maxwell was smiling a ton by the time he was one month old, but Mila took a little longer to bring on the smiles. Just for fun, here are Maxwell’s 1-6 month milestones and his 7-12 month milestones. 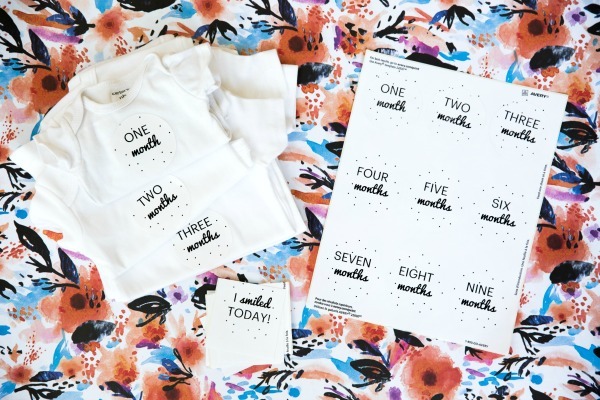 I love the idea of taking monthly baby pictures with these milestone stickers. 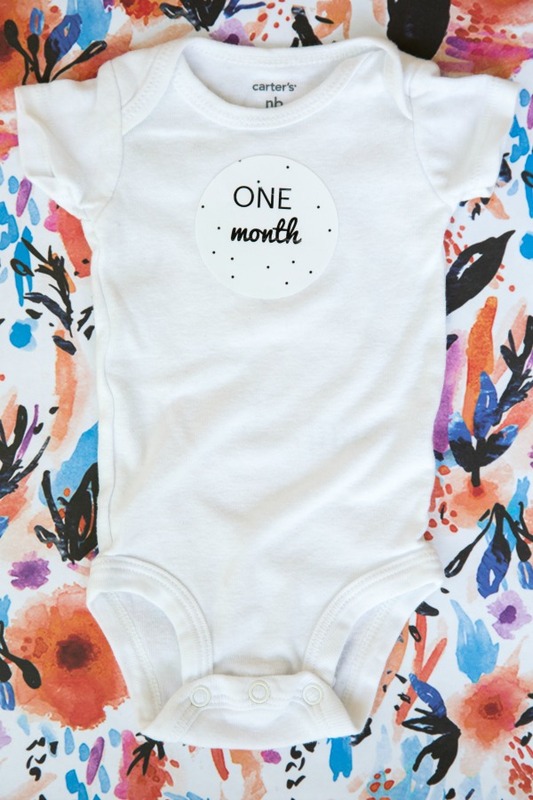 Assuming you have all of the stickers printed out and ready to go, it’s as easy as adding a sticker to babies outfit and snapping a picture. Done and done! Oh and these stickers make a great baby gift too. I teamed up with Avery to bring y’all a set of 18 stickers to mark baby milestones. 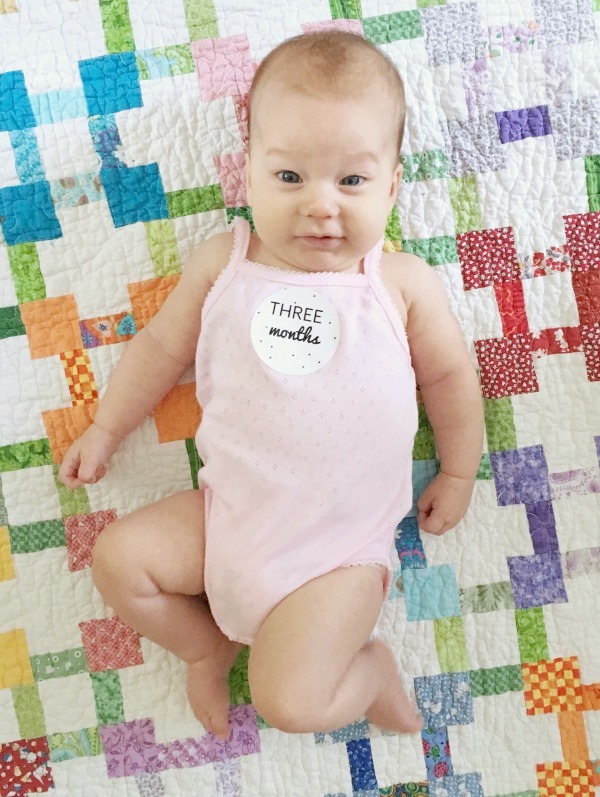 There are monthly markers for 1 month through one year and then a set of milestones to use as baby learns to do things like smile, sit up, crawl, and pull up. How you print the milestone stickers will depend on if you want to customize the labels or not. If you do not want to customize the labels, skip to #2. But, for instance if you wanted to add extra milestone markers like, “I pulled up today” or “I said bye bye today” then you will want to follow the directions below and download the .avery file. Download the 1-9 month milestones and the 9-12 milestones to your computer and save, both are .avery files. You’ll see where it says “Open a saved project from” in the middle of the page, click the green “your computer” button and upload the .avery file from your computer. This will pull up the design and you can customize and print form here. To print the milestone markers without customizing, just enter your name and email address below and the free file will be delivered to your inbox! Print the document on a sheet of white paper so that you can compare the alignment with a sheet of labels. To do this, hold the printed sheet behind the Avery product to check the alignment of your layout. Be aware of how your printer takes in paper so that your labels will print on the correct side. Make sure that the “Fit to Page” button is not checked before you print. 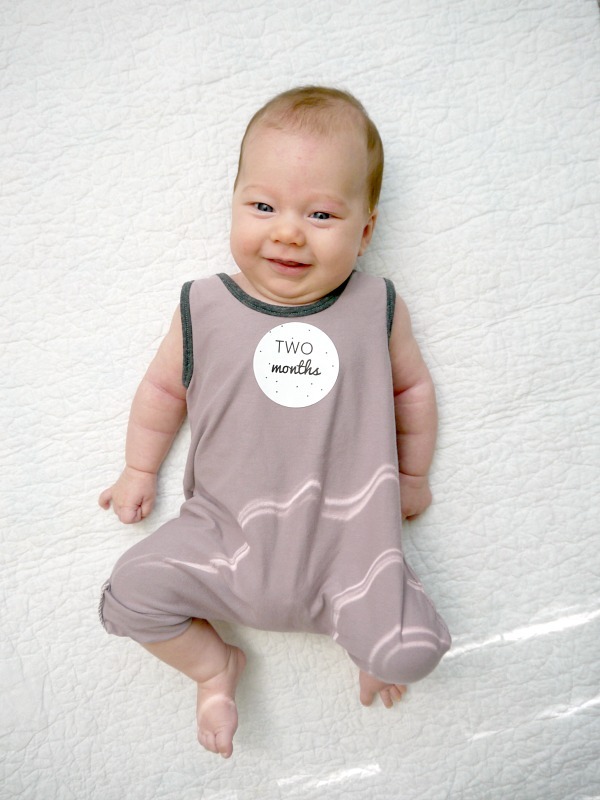 Once you get the labels printed out, just peel a sticker off and stick it to a onesie! The simple black and white dotted pattern looks cute on just about any outfit. Here’s my 2 month old Mila baby in her cute Rad Revolution romper. And here’s sweet Mila at 3 months old! These milestone markers make a fun baby shower gift too! Just print out both sheets of stickers and cut into squares. 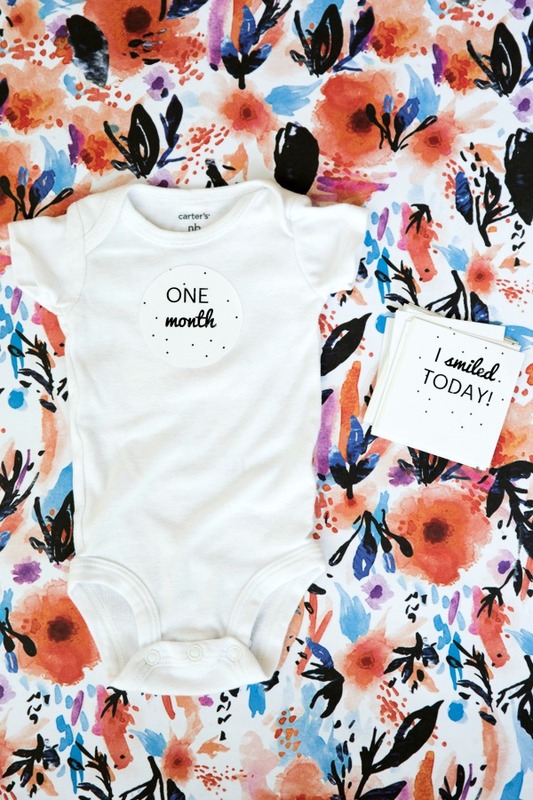 Pair the stickers with onesies in a few sizes and mama has everything she needs to document her tiny nugget’s new tricks. I purposefully designed these stickers so that they work well for a boy or a girl. I love the simple tiny polka dots and that they will compliment any color or patterned onesie. Such a cutie! I love the milestone photos because when they’re put together they show a beautiful transformation. Thanks for sharing! Mother’s of very wee ones will DIG these!!! Many thanks for linking up at Share the Wealth Sunday!!! These are darling! I received milestone stickers as a shower gift for my first baby. They were so fun that I had to buy another set for baby #2. Great idea to make your own printable set. Thank you for sharing on Family Joy Blog Link-Up Party. Have a great week!